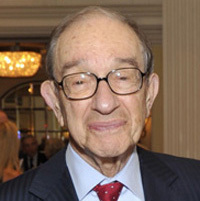 Alan Greenspan was interviewed for the Gerald R. Ford Oral History Project on December 17, 2008 by Richard Norton Smith. Smith: First of all, obviously, thank you for doing this. The afternoon of August 8th, 1974 was your confirmation hearing. How did that come about? How did the offer of the Council of Economic Advisors come about and what is the Council of Economic Advisors? Greenspan: Well, let me start with telling you what the Council of Economic Advisors is. It’s a very small economic consulting operation with one client, the President of the United States. And its power is wholly proportional to the extent to which the President has relationships with the chairman of that council. During the years of, say, Walter Heller and even Herb Stein, there were close relationships with the president. I was fortunate to have a very close relationship with Gerald Ford so our organization had a lot more influence for a lot of the reasons than I thought was generally historically the case. Herb Stein, who had been my predecessor, had to leave for some reasons while the Nixon administration was in its last days. I recall getting a call from Bill Simon, then Treasury Secretary, saying that, “Herb was leaving and it was the consensus of those of us down here that you’re the only one that could possibly replace him.” And I said, “Bill, I purposely did not choose to take a position in the White House because I’m a private sector person and I much prefer to be in the private sector. I can give you several suggestions for that and I would suggest you look elsewhere.” And I did indeed give him several suggestions and I thought I was out of the loop. A couple of weeks later, he calls back and he says that, “We’ve given this considerable thought and it’s the conclusion of Arthur Burns and myself and the president” (which was then Richard Nixon) that I was the only credible source. I said, “Bill, I really can’t.” And that was the end of that conversation. Smith: And Arthur Burns at this point was? Greenspan: He was the next call. Arthur Burns then calls me with this, “Harrumph, harrumph, harrumph.” You have to understand that Arthur Burns had a very significant role in my life in the sense that I met him first in 1950 when he was on the faculty of political science in Columbia University where I was enrolled in graduate classes. I got to be very appreciative of his insights and the like, and in subsequent years we kept in touch as he went into government and out of government. And he and his wife and I often would get together for dinner at times and the like. And so there was a sense, a family relationship there, in which, when Arthur Burns spoke, “Yes, sir,” I would listen. Then Al said, “Look, you would be a significant player in such decisions and, as far as we’re concerned, we’re willing to take the risk that you’ll quit.” I said, “Let me think about it.” I knew I had been weakened immensely and the main force there was Arthur Burns. I mean, Al was relevant. Before I left, he said, “Would you like to see the old man?” I said, “No, that’s not necessary. There’s nothing that he can say to me that’s going to make any difference” and one does not like to turn down the president of the United States, I just as soon not be in that position. So I go home and I think about it and I called about two or three days later. I called Al back and I said, “I will agree to come down as an interim pending your ability to replace me in short order. I will be taking out a one month lease and, figuratively and maybe not so figuratively, I will have my luggage near the door ready to go,” because one of the reasons you don’t leave things, is it causes a lot of – I’m planning for a quick exit. He said, “Fine.” And they put my name up for nomination to the Senate and, I believe, August the 8th was my hearing. And August the 8th, of course, was a very famous day. Smith: During those last days, to what extent even implicitly could you factor in the increasing likelihood that you might never be working for Richard Nixon? Greenspan: I didn’t, because the smoking gun had not yet been discovered. It looked as though he was going to just struggle his way through because I knew that it is a very big deal to have a president resign. Knowing American history, that would utterly be unprecedented. And there were far more potential cases of where presidents were utterly dysfunctional and they stayed around for awhile. So it never quite entered my mind, but largely because I thought that my tenure there was going to be shorter than Richard Nixon’s. So that issue didn’t come up. When I was called up before the Senate Banking Committee, I remember Bill Proxmire, who was then chair said, “It’s understood that the President is planning to resign today and this hearing may in fact be wholly moot.” I said, “I understand that.” I went through the hearing. It was very interesting in the sense that Proxmire and I disagreed on lots of things. I remember basically that, before the Committee, there were two votes potentially against me even though it might be moot, but they were very complimentary in the sense that Proxmire said, “I wouldn’t vote against you if you weren’t so intelligent. What we don’t want with the President is an effective sitting chair.” And Joe Biden said very much the same thing. So, I was sort of in an odd position where I was being complimented in a very adverse way and the reason is that I just stuck to my guns. I could answer all of their questions. I obviously knew all of the subject matter exceptionally well because that was really my day-to-day operation. Essentially, moving from my offices in New York to chairman of the Council of Economic Advisors gave me a different boss, gave me a different geography, gave me a different environment, but the work was scarcely different. What I did at the CEA was almost 85 percent what I would’ve done in my private business. So that wasn’t a big transition there. In any event, what occurred subsequent of course was Nixon resigned and Ford was sworn in as president. I’m told that Don Rumsfeld, who I had worked with periodically on occasion, had recommended to Ford that he essentially renew my nomination for chairman of the CEA. And indeed I’ve forgotten, but probably before then, when he was still vice president, Ford asked, when I had been discussed as being the CEA chairman, asked me to come by and see him and we spent for the first time, an hour together. I’d never met him before and I found him really quite extraordinarily interesting and a remarkably calm personality for a politician and we got along well. When the issue came up of my coming down to work with Gerald Ford, it was a wholly different set of circumstances and a wholly different view because I didn’t go to the White House in 1969. I had seen Nixon because I worked with him fairly closely in the campaign and I felt very uncomfortable with him. He was really an extraordinarily intelligent person. In fact, when you look strictly at IQ, Bill Clinton and Richard Nixon were, as far as I could judge, at the top, but there was an odd psychology there which I didn’t quite grasp and made me very uncomfortable. Ford was very different. Ford was open, straight, never varied as long as I knew him. And, as I’ve said on innumerable occasions, I’ve spent 20 years in government, two and a half years at CEA and eighteen and a half years at the Fed, and Gerald Ford is my favorite president for many, many reasons. The irony is that some of them are those reasons which he would have had very considerable difficulty being elected president on his own. Greenspan: I think that is blatantly condescending and utterly misplaced. Let me give you an example which I think is interesting. I would watch Ford dealing with Henry Kissinger who is, in himself, very interesting in many respects. Ford would in no way conceive himself as intellectually superior to Kissinger nor have an insight into global forces the way Henry has evolved over the years and still does. Yet there was never any question that Gerald Ford was president and Henry Kissinger was not. And it wasn’t handled in a way that “Henry, you haven’t been elected” surly. He would just basically calmly say, “Henry, I see where you’re coming from, but it doesn’t strike me just right. I think we ought to be going in a somewhat different direction…” and he’d say a few words. “Yes, Mr. President.” And it was very interesting, in that that there was never any tension which in any way implied that there was an inferiority complex. So what you saw in Gerald Ford is a psychology which, I hate to use the word ‘normal’, but it’s as close as to what one would term ‘optimum human psychology’ in the sense there were very few hang-ups. Smith: David Broder famously said he was the least psychotic president he’s ever known. Greenspan: That’s faint praise indeed. Smith: No, it is, especially when you consider the competition. You got there and inflation was the immediate dragon that needed to be slayed, which of course gave rise to Whip Inflation Now. What was the origin of that and what was your immediate reaction to that campaign? What the problem was is that they were setting themselves up for failure. And so all I could do in that meeting was to suggest a few obvious problems which were going to arise if you induced somebody “voluntarily” to hold their prices. For example, cotton fabric manufacturers, they could do that only so long as the price of cotton didn’t go up. And no one was suggesting that farm products were in any way being constrained by this voluntary price movement, which is essentially what it was. And I suggested, “Mr. President you’re going to have to be aware that there’s an awful lot of small textile manufacturers, people who would very much like to join in to your very desirable approach against inflation, they may not be able to. And that as time goes on and half the economy is voluntarily price frozen and the other half is not, the system will break down and I think that we have to be very careful about that occurring. Well, Whip Inflation Now got undermined not by its own internal problems but by inflation becoming rapidly a nonexistent issue as the economy began to gather negative steam, if I may put it that way. Smith: I’m fascinated, because I think you wrote that the whole WIN campaign actually originated in the speechwriters’ shop in the White House, which is revealing in and of itself. Greenspan: Yes, indeed. I learned later that the origin was how can Gerald Ford be perceived as being essentially anti-inflationary, show basic concern about the nature of the problem, and words were put together without any notion of whether they applied to reality or not and it was a very good speech. The only problem was that it didn’t reflect any practical, conceivable policy that could be implemented. And, fortunately, it died and perhaps the last remnant that I have of it is some Whip Inflation Now button which I suspect may be worth a lot of money at this stage. Smith: That raises a broader question. It’s sort of, and I don’t mean to pick on Bob Hartmann, but Bob Hartmann in some ways became the face of this notion that Ford, having spent a lifetime on Capitol Hill, came into the White House with pretty much a congressional mindset. [He] originally wanted to organize the Oval Office – the spokes of the wheel – which has the feel of a congressional office. Related to that was this complaint that he was surrounded by people from Grand Rapids. How much of that was relevant? And how much do you have a sense that he outgrew some of that during the two and a half years that he was president? Greenspan: Oh, that was inevitable. You must remember that Bob Hartmann, I presume, wrote that wonderful line “Our national nightmare is over.” Now, that was so significant a phrase and the way he wrote was so effective in certain respects that it was natural for Ford, in my judgment, to lean on Bob to approach this. Now, the difficulty with it is that he did not have a back-up policy, it was a rhetorical policy, basically, and rhetorical policies are great if you don’t have to implement them. They’re wonderful for campaigns. The one thing about a campaign is that reality need not interfere with what you’re saying. And I think there was still that element in there. What happened over the years, inevitably, as issues became more and more complex, and the focus of the Grand Rapids coterie, which had some very good people in it, was a local type of focus on the types of issues which president of the United States goes far beyond. It was inevitable that he would have many, many individuals which would gradually augment and, in many cases, supercede the congressional structure or even the Minority Leader structure that he had on the Hill. Smith: What was the Economic Policy Board? He was advised of every meeting but he didn’t choose to show up at all of them. And it included all those cabinet secretaries who had some form or other of an economic interest. Bill Siedman, obviously of Grand Rapids, was the executive director of the board, meaning, essentially, the coordinator of policy under the chairman, which was Bill Simon. The reason that was important was that for lots of reasons the general economic philosophy of the Economic Policy Board closely approximated that of the president. And the important thing about economic policy is that every economist has got a fundamental view as to the way the world works. The vast proportion of us believe the same thing about many things like free trade, free prices. The vast proportion of economists are against price control and against protectionism, irrespective of whether they’re Republican, Democrats, or anybody else. Ford’s general position was largely as a free trader, believing in market competition and economic freedom, and the Economic Policy Board had very much that same overall philosophy. It meant that the differences amongst us were not on the fundamental goals, but on the tactical implementation of specific strategies and it, therefore, was useful for us to say to the president, basically that, “We know your philosophy, we know where you want to go, we know various things, and while there are alternate ways of going there, this is the best.” And it worked rather well. In fact there was only really one major fundamental difference within the policy board which I will always remember. That was, the issue came up about whether or not the United States should sell its gold. Now, the reason that was important is that interest rates were relatively high at that point. Gold has got zero interest on it, and indeed, it’s got a carrying cost, so really it’s a negative interest. So, the US Treasury was foregoing a very substantial amount of revenue by basically holding non-interest bearing assets rather than interest bearing assets. Now, Bill was a strong advocate in getting rid of most of our gold stock. Arthur Burns was absolutely adamant in the other direction. As a central banker, his essential view is that gold is and was the final means of payment. Smith: Neither one of them was exactly a shrinking violet. So, I go back there, I walk in and Ford says to me, “What was that all about?” And I said, “Mr. President, you are just seeing a really major important economic issue of profound significance being debated in front of you. The problem is that no one knows for sure that, if you sold off the gold supply, what would happen. That you would get increased revenues, that is a factually accurate statement. But what the cost of that is, and the more fundamental aspects of what a market economy is, and its stability, and the willingness of people to accept the currency, is an unknown factor. Bill Simon cannot in truth say it has no effect and Arthur Burns cannot say in truth it has a huge effect. “My own judgment,” as I said to him, “is probably it’s too high a risk to take. Frankly, if you want my advice, I’d forget the conversation.” And we still own precisely the same amount of gold today with a few little wrinkles here and there that we did back then. Nobody in the White House or, as far as I can judge, in government in the United States has really seriously thought about selling our gold stock. And indeed, when the Europeans in recent years – 1990s for example – decided that for exactly the same reason they’re going to sell off their gold stock, they did. But even though we were a member of the G-10, which is the organization whose board are on the board of the Bankers for International Settlements – which is the vehicle which coordinated the gold sales – I very explicitly, as a board member, opted out for the United States. In other words, I actually at one point was the host of the meeting in which that was discussed and I essentially said the United States will not participate in these gold sales. And we didn’t. And that’s the only other time I recall it coming up in this country. Smith: Now, what does this say about Bill Simon? Greenspan: Well, Bill Simon was a very strong supporter of Milton Friedman at the time. As I recall, Milton had very much similar views and others had similar views. It gets down to an issue where you have to make a judgment, as we are indeed observing today – which is December in 2008 – we’re creating a huge amount of fiat money claims and in a sense doing something which the gold standard would not have enabled anyone to do. But we are doing it, at least at this point, creating huge amount of dollars without a significant impact on inflation or very much on the exchange rate as well. That’s the type of view that I believe Bill Simon thought of, but it’s now at a point in the discussions today where it’s a very crucial unknown issue, and it is reminiscent very much on a much larger scale clearly of the discussions that that economic policy board had on that particular extraordinary day. Smith: But the story is implicit in what you’ve already said about Henry Kissinger and now about Bill Simon and Arthur Burns, that President Ford was comfortable with, for lack of a better word, a vigorous back and forth conducted by people of stellar IQ and significant ego. Greenspan: Unquestionably. I mean, I agreed probably, I would say probably, with 98 percent of Bill Simon’s views. We’re very close in that regard. Actually less with Arthur Burns, because remember he was in favor of incomes policies, prior to the imposition of wage and price controls by President Nixon. Indeed I’m a private citizen, and Nixon at the time, through Chuck Colson, who called me and said, “The president would like you to talk to Arthur Burns about this.” I said, “Chuck, the president does have a telephone, does he not? He knows Arthur’s number.” And he says, “He’s not speaking to Arthur.” So it’s very interesting, but what was very attractive about that group of people was we all held the same views. I mean, how the world works, except on this particular issue, it was a very effective operation and Ford was clearly president of the United States in those discussions. Smith: Let me ask you, just so we get it on the record: what was the fund of economic knowledge and economic assumptions that he brought with him from those 25 years on Capitol Hill? Greenspan: He had a lot of related economic issues. He was on the House Appropriations Committee, and very knowledgeable about the federal budget over all that period. You cannot become knowledgeable about the federal budget unless you know a good deal about how the American economy works. And so, he was subject through various hearings, through all sundry types of things, that he got a very practical education on how the American economy functions. And, in that regard, he was remarkably knowledgeable about lots of things. And you could teach him because he had an underlying set of relationships where he could draw analogies and understand how things work, and he did grow in knowledge very clearly through the period. Smith: I’m thinking, coming from Michigan and of course the auto industry, wasn’t there an approach initially from, was it Chrysler, that not long after the whole New York City business, wasn’t there an approach from the auto industry about government loan guarantees that were initially turned down? Greenspan: Well, remember, Chrysler did get a loan. Smith: Eventually they did. Yeah. Greenspan: My recollection is that – I forgot what the year was, it not during the Ford administration – I think it was subsequent to that. Smith: I know the loan guarantee came during the Carter years, but I thought that there was an initial approach from Detroit toward the end of the Ford years. Greenspan: I don’t recall that. Smith: Let me ask you, you sort of had this whipsaw. You come into office and inflation is clearly a significant and growing menace and yet within a matter of months you almost have to turn on a dime to confront radically rising unemployment. Was there a moment when it sort of dawned on you and/or the president that you were fighting a multi-front war? Greenspan: Oh, indeed. One thing I recall is that you could see that the economy was weakening in the latter part of 1974, but it didn’t appear as though there were large inventory accumulations, which is usually what then was a critical triggering point. Then the Department of Commerce revised its numbers and I said, “Oh, my God, we have a problem.” At the same time, the economy was beginning to sag and I and the Economic Policy Board were telling the president that things were in the process of changing fairly rapidly. Smith: How did you explain that change? Greenspan: Well, basically, that the underlying forces of demand had been essentially suppressed by rising inflation. One thing about inflation is, people pull back when they’re confronted with rising prices. They save more, they’re uncertain. And that fairly significant inflation – which incidentally comes in part out of the aftermath of wage and price controls – that was beginning to grip the economy and you could see the erosion going on, but it wasn’t rapid. And so, we were communicating to the president and in writing my book I had to go back and look at some of the documents and it was there, we were saying that things are beginning to deteriorate and that it wasn’t a point in which I recall when somebody said, “Whip Inflation Now has now been rescinded.” It sort of gradually died from lack of mention. And so it faded away and we were confronted with essentially what was a very tricky State of the Union message as we were coming up to 1975. And, unlike what you have today, where your word processors or such that you can change the State of the Union in the last twenty seconds, back then, we were still cut and paste and type, you had those old things called typewriters. And the speech continuously got revised, revised, and revised and by the end of it, I thought that he delivered a really thoughtful speech. Subsequently, I obviously learned that that was the first note that he’d been told that Mayaguez had been essentially boarded. I said, “You know, that was pretty, like, ____________like your wife just called and said that dinner reservations have been changed.” And I had that same attitude with respect to: the economy is running up against potential significant problems and we’re likely to see some pretty awful early months of 1975. Smith: Originally there was, by modern standards, a relatively modest tax cut that had been proposed by the administration. How did that evolve? I assume you came on and as the problem increasingly came to be defined as unemployment rather than inflation, presumably you were under growing political pressure to respond with Keynesian stimulation? Greenspan: In fact, it’s always very useful to go back and read the current reporting on what was going on. One of the great values of writing a book is you’re forced to go back and to actually see what was said, not what your memory left with you, but what was actually said. The economy was weakening. It was moving down rather rapidly and unemployment was clearly moving up and there was a great deal of uncertainty. George Meaney came out with a proposal to run a hundred billion dollar deficit. Now, back then, a hundred billion dollar deficit was big stuff. There was general talk of just expanding, you know, doing all sorts of incredible programs and the pressure on Ford to respond to what was scaring everybody in the United States, it was phenomenal. His basic view was very cautious. I recall his saying to me essentially, “How deep is this going to get? And how bad is this going to get? And what do we do about it?” I said, “Mr. President, we don’t do too much at this particular point, but let me tell you, the best I can judge, we are in a classic major inventory recession, the nature of which is that production falls very rapidly as you move from inventory accumulation, which is basically meaning production is above the level of consumption, down to well below it as you begin to liquidate. Smith: Is GNP quarterly? You had quarterly GNP estimates? Greenspan: Quarterly data which, at the time, came out quite a number of weeks after the quarter close, which is way too late. We did have the Industrial Production Index which the Federal Reserve produces every month, roughly two weeks after the close of the month, and that was far more current and you could tell what was going on. What I decided to do at the Council of Economic Advisors is to sit down with all of the people who are very good statisticians and economists and see if we could set up a whole series of real-time indicators which were either weekly or monthly and try to get an update, not necessarily on the exact numbers, but on where the critical question of this decline was. Whether we were dealing with an inventory contraction, which we surely were doing, but whether that was the whole business. In other words, were we dealing with not only an inventory contraction but a fall off in so-called final demand? And so we set up a weekly GNP system which was not something I would want to show in public, but it worked. It essentially told us week-on-week what we needed to know: namely, whether in fact, this was very substantially an inventory adjustment which meant that when it turned it would come back very rapidly. Because if, for example, production is above consumption at the top, if it slips below, at some point you’re continuously liquidating inventories, you’re going to get to zero. And when you get to zero, or the lowest you’re going to get to, then you cannot liquidate anymore so that production must come right up to where the consumption level is and that’s precisely what happened. What he chose to do is accept a proposal which had been floating around at that time of doing a quick rebate and it was such that it had no long-term impact. It basically probably did some good with respect to final demand, but it was de minimus and he was excoriated by all those who either are in the press or the political system. And the fascinating thing which I’ve seen time and time again is that not only did that pressure disappear when the economy came back with a roar, but collective amnesia came over the whole political system in which those who had argued that we should’ve done much more, it never happened. And I have seen that time and time again and I think it’s a sad commentary on, I would say, the recollection capabilities of the American public. Smith: But it also hints at a reason why he, in some ways, didn’t get the credit that perhaps a more flamboyant or self-dramatizing president would have gotten. I mean, in effect by not doing things, that’s the inverse of what we’ve all been led to believe as swashbuckling presidential leadership. Greenspan: It’s called activism and sometimes activism is running in the wrong direction. Smith: So, he was a true conservative. And that’s what Ford did. You know, he had all sorts of contacts, especially in the business community, and he was up to date remarkably with what was going on, had a good sense of what appropriate policy was, and he had enough of a history to realize that cycles come and go. And while this was by far the most severe since the Depression, he basically recognized that we would come out of that in a way. Smith: How much of all of this, in the background at least, was energy an issue? Greenspan: Energy became a critical issue obviously largely because we, in the United States in 1970, finally created a level of consumption of oil, crude and products, which was exactly equal, net, to our productive capacity. Remember, we used to have the old Texas Railroad Commission which had quotas on crude oil production in Texas in order essentially to keep control over prices. Up until 1970 with the Texas Railroad Commission, they could control world oil prices and they kept quotas down until consumption finally inexorably rose up to our capacity at which point the pricing determination moved from the Texas Gulf to the Persian Gulf. And they didn’t know it, basically, until the Yom Kippur War caused a huge increase in prices which then lead to the endeavor to keep controls of oil and gas, which induced the long lines at filling stations. And it was a disaster. And indeed we have to struggle with that with all the various different grades of war and the complexity. Fortunately, the Reagan administration finally unwound the whole thing. Smith: There’s a story that, at one point, the president respectfully urged, I mean, they put together this massive energy program, a 143-page document or something like that, and he asked his former colleagues on the Hill to create in effect an ad-hoc committee to address the emergency. And back came word that, “Well, that wouldn’t work because that would upset the existing jurisdictional elements,” and so on and so on. “It might be an emergency, but we couldn’t change the way we did business.” And, I guess the debate went back and forth, the president seeking decontrol of at least some energy prices, the Hill resisting. And eventually a deal was worked out, a handshake deal. I believe Mansfield and Albert came back a week later and said they were embarrassed, but they couldn’t sell it to their own membership, which raises the issue of post-Watergate. You had that whole influx of the so-called Watergate Babies, people came in with a much more aggressive view vis-à-vis the White House and congressional relations and you were in the middle of all this and here you are trying to make policy. And the great irony is, here’s Gerald Ford who is a child of Capitol Hill, who finds himself in many ways defending executive prerogatives. Greenspan: Well, the reason basically there was a problem was that we got ourselves in such a complex structure of various different types of oils and various different types of things that were going on that we brought on, remember, Frank Zarb as the “Energy Czar,” my tennis partner. And it was a complex mess. I mean, if you really want a lesson on what’s wrong with regulation, go sit yourself in the middle of that type of thing. And it worked very poorly, and indeed, it created the huge gas lines and very negative reaction there. In fact, the one interesting episode that I always remember with respect to this is that Nelson Rockefeller, then vice president, had this big, big hundred billion dollar project. Now, a hundred billion dollars back then was real money. Smith: The Energy Independence Corporation. Greenspan: Yes. And Zarb and I actually pounded on Ford, and Cheney was with us, who was then Chief of Staff, and we got him to the point he said, well, he’s not going to support him on this issue. Two or three weeks later, I get a call to come to the Oval Office and Ford says to me, “Remember my promise about saying ‘no’ to Nelson?” I said, “Yes, sir.” And he says, “The pressure’s too much. I’ve had to cave.” I said, “I understand that.” And he said, “You know, I want you to know I really apologize for that.” I said, “Mr. President, you’re president of the United States. We are your advisors. You have to make those decisions. You don’t have to tell me that you can’t do everything I think is the right thing to do. I would, frankly, be very uncomfortable if that was indeed the case.” But that, to me, tells you something very important about the man. In other words, there’s a sense that even if it remotely entered your mind that Richard Nixon would do it, I would suggest you dismiss it immediately. It was not conceivably credible. Greenspan: I hadn’t heard that story. Smith: You had not? Isn’t that a great story? Greenspan: No, I didn’t. It was very interesting. Smith: It was difficult for Rockefeller, wasn’t it? I mean, given his temperament, in New York you got elected by creating programs, never mind what they cost. I mean, that’s how you governed. And at some point, I think fairly early in the Ford presidency, the decision was made that we were going to at least suspend any new domestic spending programs until we got a handle on the budget, on the deficit. Does that ring a bell? Greenspan: Oh, yes. No, Jerry Ford was a fiscal conservative amongst all of his other attributes and a firm believer in the fact that fiscal responsibility was a crucial aspect of maintaining a viable economic system. And largely because of his knowledge of how the budget worked and the like, he knew what you could do and what you couldn’t do. And, you remember, one of the rare things that all of us, we were very pleased with was when, I think it was in 1976, no, the 1977 budget presentation was done by the president of the United States. And we were all proud of the fact that our president knew enough to get up in front of the press corps and handle all the very detailed questions. It was very impressive. It was very interesting to watch the system go. Smith: It’s never been done since. Greenspan: No, for good reason. He fundamentally was a conservative in the fiscal sense more than any other way. You know, it’s hard to recall, but I remember Dwight Eisenhower apologizing for a four billion dollar deficit. Now that was before, kind of, the revolution, you know, where Walter Heller came in and said, “We have fiscal stagnation going on here” and all this various sort of things. But Jerry Ford was a throw back basically to Eisenhower in that regard. Smith: Yeah. Someone once referred to him as Eisenhower without the medals. Greenspan: Well, that’s probably not far off. Smith: A couple of things. apropos the whole New York City fiscal crisis. There was a famous speech at the National Press Club. I’d been told that there was a real debate within the administration in terms of how tough the president ought to sound in terms of even considering federal assistance to the city. And a very legitimate case could be made that the city wasn’t taking seriously enough its own need to do some fairly radical pruning. What’s your recollection of that whole issue? And then, of course, you have the vice president who is presumably in a somewhat awkward position, but obviously arguing for the city and the state. Greenspan: The problem basically was that they actually had the financial resources to solve the problem in part. Remember there was a very large pension fund which, as I recall and my recollection is a little vague on this, but I recall that the real issue is that the city government did not want to do the hard stuff and, as a consequence, essentially wanted just government payment. Ford was not happy with that. Bill Simon was Bill Simon, you can imagine. And you know that famous headline Ford to New York City: Drop Dead. Of course, it was never actually stated, it was a fabrication of the media. The issue was a very clever set of negotiations. Ford knew that at the end of the day, the city would have to cave because they did not have real ______. But the question is, how much of it seemed reasonable? It’s very much similar to the negotiations currently going on with respect to the Big Three automakers. That their initial view is just, “Give us cash and we’ll solve our problems.” There was a real serious concern that if that was done with New York, they’d be back again. Because what was wrong with the fiscal situation in New York as I remember it, Mayor Lindsay issuing huge amounts of short-term credit and then all of a sudden being unable to sell short-term New York City notes in the markets. And that is sort of the scariest of all situations. And the reason, essentially, is it went into ever increasing fiscal profligacy and the well finally shut down. Now what basically New York City wanted was for somebody to bring water to substitute for the well. And what Ford wanted to make certain is that you basically got a system which would function in and of itself. Eventually New York City got bailed out because of the fact that the stock market which was then low, ran up for numbers and numbers of years and the revenues just poured in, so it solved their problems. Greenspan: And he was governor at that point. Greenspan: Hugh Carey said that to me once, too, I recall. I was wholly accurate in my judgment that the presumption that that particular set of negotiations were essentially a disaster is utterly untrue. That was a very clever set of programs to recognize economic reality which the New York City government did not wish to do. Smith: Can you talk about what he wanted to do in a full term? Did you have a sense, I mean, did you have an agenda in-house, in terms of what you hoped to do if he had been elected in ’76? Now, there’re always things, I mean, the Energy Independence Act and all the various other things that go on, but there is a really seriously important difference between beliefs that there is a self-adjusting mechanism which essentially creates the highest standards of living, rapid economic growth, but has aspects of instability in it which is more a reflection of human nature than it is of economic policy. And the question is, how much do you want to control that? And the evidence is pretty clear that, the more you control it, the slower the rate of growth and the lower the standards of living, but the less volatility in the markets. The more you allow the markets to function, as indeed coming out of the Ford administration, even into Carter and to Reagan, and thereafter and on to Clinton, we had a massive change, a removal of regulation where the Reagan administration with the air traffic controllers ultimately changed more fundamentally some of the whole structures of labor relations in this country. Smith: But deregulation really began in the Ford years. Greenspan: It did and it was an odd bipartisan combination in which you had Ted Kennedy as chairman of the ____________ Committee and Steve Breyer as basically his chief of staff in that committee. So that, the same time that Breyer was very much, and you can hear him now, he still takes that as an important period of his life – he was one of the key elements in the deregulation of airlines and rails and all that sort of stuff. And so it was essentially a bipartisan movement, but fundamentally driven by Jerry Ford with a lot of it starting to be implemented during the Carter administration. Smith: That goes to the heart of something I’ve argued for a long time. That people who see the Nixon-Ford administration as a continuation, almost see Ford as a coda for the Nixon presidency, overlook something very fundamental. A lot of things changed. I mean, you could almost look at Richard Nixon as the last New Deal president. Someone who grew up in the shadow of FDR and whose political calculations being what they were, and Ford in a lot of ways is a more conservative, classic conservative than Nixon. Things began in the Ford presidency that bore fruit in later presidencies. But it’s a mistake to see the two as philosophically joined at the hip. There’s more of a break in some ways, a turning of the page. Greenspan: Oh, indeed. Indeed, if you just look at the numbers, the size of government under Nixon grew immensely and his reasoning was always, “Well, if we don’t do it, they’ll do more.” And Ford didn’t quite buy onto that, as you know, with his very slim minorities in the Congress, he vetoed an awful lot of bills and prevailed in a remarkably large number of cases. All he needed was a small part of the Senate and he could render a lot of legislation from occurring. Smith: This is hypothetical, but can you think of one or two things that, historically looking back, you think would have been different had he been reelected? Greenspan: Yeah. I don’t think that the underlying inflationary forces – which were coming off basically the early parts of the 1970s, partly Nixon, partly coming off the Vietnam War – I don’t think that severe inflationary process could have been suppressed under Ford. The forces were fundamental and Jimmy Carter got being in the wrong place at the time and it’s essentially what brought Reagan in a good light many years. It is conceivable to me that, had he been reelected, he would’ve struggled with that and may have made it less than it ultimately turned out to be, but not enough to actually alter what went on. It would’ve meant in some way, Reagan would have never been president of the United States. Smith: That’s interesting, because by ’76, the administration was running on a record of having, in effect, broken the back of the inflation. Unemployment was clearly headed down and indeed, for all the people who said Ford lost because of the pardon, I’ve always thought a strong case could be made that just before… There were numbers that were released, literally just before election day, which suggested a pause at least in the economic recovery. Greenspan: That was my term. Smith: I think that, by that point, there was a perception that this would become a very close race. And I think there were x number of people who sort of stepped back even that last weekend and said to themselves, “Well, do I really want four more years of this or will I take a chance on Carter?” And it was just enough to push Carter across the finish line. How did the pause come about? Greenspan: Well, the pause came about largely as a consequence of the ’75 recession. Because what happened was, you may recall that early 1975, the gross national product is what we used then, was going down very sharply. But when, because inventory liquidation was so huge that, when it turned around, it came back and we were up close to a ten percent annual rate of growth in the early months of 2006. Greenspan: I’m sorry, ’76. 1976. You had this momentum going forward and you can’t maintain that because inventories were building up and so what ordinarily happens in such a period is you have a pause. Meaning that it went from close to ten percent annual rate and sunk down to close to two percent or whatever it was, and the two percent happened to coincide with the election date. But, as you may recall, when Carter got into office, he had a number of fiscal stimulus programs to deal with the pause, but by the time he was inaugurated, the economy was rolling back again. And so that, for Ford’s point of the view the election was held on the wrong date. Smith: Two other things and I’ll let you go. One, in 1980 – you were in the middle of this effort and I’d like to just have you describe it – about Ford possibly joining a Reagan ticket. There’s been debate over the years as to where it originated, what Ford really expected. I would love to have your account of that. Greenspan: Well, I think it emerged because the early polls showed the gap was not very large between Carter and Reagan and that the polls showed that if Jerry Ford were vice president, they would put an additional two or three percentage points on what was a very close race. And my recollection was that in the Reagan campaign staff, they decided to approach Ford and they essentially asked Kissinger and me, as old Ford people who were now involved in the Reagan campaign, to go approach Ford. So, we approached him. Smith: Was this at the convention? Greenspan: At the convention. Oh no, at the convention. Greenspan: Yes, indeed. And it was very obvious very early on that he, Ford, was very content with his Rancho Mirage, and his golf, and his new lifestyle. Smith: And, of course, Mrs. Ford had gone through the intervention and she was recovering and that obviously affected their lives. Greenspan: I’m sure that was probably the case. And they were settling down there and what was being proposed was a real upheaval in their very… Because, remember, they never had an affluent life in that Ford was one of those people who would, you know, if you tried to bribe him, he would probably bite you or tried to stamp you into the ground. And so, you know, he was never wealthy, but he didn’t become wealthy as such, but at least the pressures of living on very tight, you know, began to ease obviously as he went back into the private sector and he was enjoying that, I’m sure. Smith: It was with Walter Cronkite. Greenspan: Oh yeah, okay. And he suggested a lot of the — and apparently Reagan said, “You know, no way,” because in the sense these were a private conversations and Jerry Ford opened them up and, at that point, it ended. There was never any real possibility of that happening as far as I could judge. In other words, there was reluctance on day one and reluctance all the way along and, to this day, I don’t know whether Jerry Ford consciously did [that] to suggest to Reagan or give him a way out, I don’t know that. But it’s the Cronkite interview which, as far as I can see, ended the conversations. Greenspan: You mean at his funeral? You mean before the funeral. Smith: Yeah, before the funeral. Because you obviously would see him every year at the reunions. Greenspan: Oh, yes. I would say within maybe a couple months of his death maybe. Maybe less than that. Smith: Were you surprised by the reaction when he died? By the public reaction? Greenspan: I was an honorary pall bearer and so I was in the entourage and you could see the crowds on the streets and this is when the general state of optimism was not obvious. But there was an out flowing of “Here’s an extremely decent man” and nostalgia for that type of presidency. Smith: The civility that he represented. And yet, I mean, God knows, it’s a misplaced nostalgia to suggest that the ‘70s were some sort of era of good feeling. Greenspan: They sure were not. But, in the context of going back historically, you tend to forget the bad, and more often than not, tend to emphasize the good. For example, we look back in the 1930s with some degree of nostalgia because we knew that, in the end, we came out okay. But, you read the literature at the time, it was basically fear of where we were going. There’s a fear of fascism. Fear of communism. Undermining the Constitution. All sorts of really very scary episodes. And since none of that ever materialized, it’s not that we all recognize the 25 percent unemployment, bread lines, but there were still the movies, there’s still Fred Astaire and Ginger Rogers and all of that stuff. I think the same thing occurred here. That, to be sure, it was a pretty scary period, but we knew we came out okay. And by the time Jerry Ford died, there was a degree of nostalgia for his presidency which I think is growing year by year. It’s not dissimilar to the way Harry Truman got himself resurrected. Smith: It’s interesting, because I was wearing two hats that week. I was with ABC the first half of the week and then with the family the second half. And I can tell you, in the media, there was astonishment that, as the week went by, it seemed to grow and grow and grow. And my theory was, in particularly seeing the number of young people in the crowds, that they were seeing this man for the first time in a lot of cases. They were being introduced to him. And he looked awfully good compared to kind of the politics in both parties in recent years. And I think the country needed to feel good about something at that point, too. In some ways it almost foreshadowed Obama’s appeal as a, we’ll see whether it holds up or not, but the appeal as kind of post-ideological bringer of civility. Greenspan: Yeah, it’s that view of America which Ronald Reagan sort of brought forward, but more importantly it was a view of the civility of the Ford administration, not in the politics ___________. You did, I don’t know maybe you did, you remember that Tip O’Neill and Jerry Ford used to come at each other, boom!, from 9 to 5pm and then Tip would end up at the White House with a bourbon with his old friend Jerry. That’s the nostalgia that I think really mattered, that the bipartisan sense that the Senate was a club, that people worked together for a national purpose, because by then, Ford’s death, there was just huge partisan breakdown. Smith: And he also was lucky, he lived long enough to know that most Americans had come around to share his view of the pardon. And that even those who still disagreed with the pardon at least accepted his motives and even acknowledged his courage, political courage, in doing it. Greenspan: I don’t have as much of a feel of that, but I am aware that the polls did show that. I have no firsthand experience, so I don’t have that much of an insight into it. But the general view towards Gerald Ford has clearly, since his administration, been going straight up. And, as best as I can judge, since his death. Smith: That brings me to the final question. How do you think he should be remembered? Greenspan: I think as a very important turning point in American life. I think that the fact that we came as close with the Nixon resignation to potential chaos in this country. Now, remember, there were Secretaries of Defense making certain that no orders came out of the Oval Office. That Hartmann speech was a very critical turning point. It defined a change in the spirit of the country which is quite similar to this last election. And I think that the American people have a certain unrealistic view of political civility and they liked people like Howard Baker, for example, or a lot of those now still around but no longer in power. Senators who talked to each other. I mean, Pat Moynihan was sort of, to me, an extraordinary senator. And you had five or six of them who really defined. We don’t have that anymore and Jerry Ford was part of that general view. We, as Americans, would like to have far more civil politics than we get. The problem, unfortunately, is that negative advertising does work. We do find that the old notion that good economic policy is good political policy has been discarded. Greenspan: Cable is…I sit and watch my wife dealing with… She gets out in the morning with the Today Show and then she’s got her own cable show in the day. She’s got the evening news and then she’s got to prepare for the Today Show, and what you’re coming up with is that the old notion that there are two sources to every story, you never bring it up, and how we don’t have the bloggers back then. Jerry Ford would have been very uncomfortable in this type of environment. And I think the American people are uncomfortable with it, but they don’t know what to do and, indeed, there’s a conflict here. It’s their views which basically. Smith: In that sense, it’s an electronic democracy and the results aren’t always pretty. Greenspan: It’s not always pretty, but it still works.